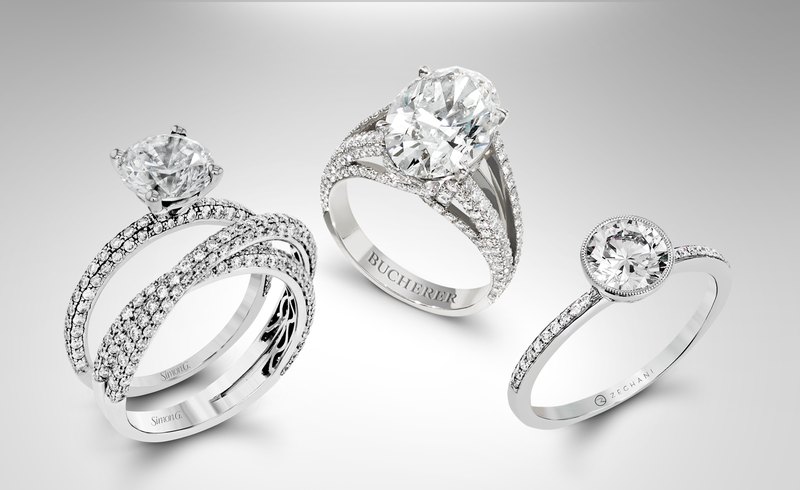 Among the most unique of our wedding and engagement rings, these are chosen by brides who demand unique as well as mature women celebrating an anniversary. Far away from the mass bling you see everywhere, these are more unique and stunning than anything with a 3 carat stone. A woman will get more comments about this collection of rings than ordinary rings sold everywhere. Unique wedding rings and matching wedding band sets for bride and groom are perfectly crafted in gold, platinum and other precious metals. These beautiful custom made organic rings are nicely affordable, the "go to" wedding and engagement rings for unique, natural beauty. This unique engagement and wedding ring collection in 18k gold is inspired by driftwood branches from a distant shore. The diamonds fire with brilliance like a setting sun on the horizon. Simplicity is beauty.